Jason Ewig got his start in the electrical business at the age of 12 years old with his Dad’s construction business while growing up in Wisconsin. Shortly after a 6 year career in the U.S. Marine Corp, Jason met his wife, Tracy in 1997 and in 2004 started up Custom Touch Electric to meet the needs of their growing family. While there are many aspects to the electrical construction business, Jason specializes in lighting design of homes. 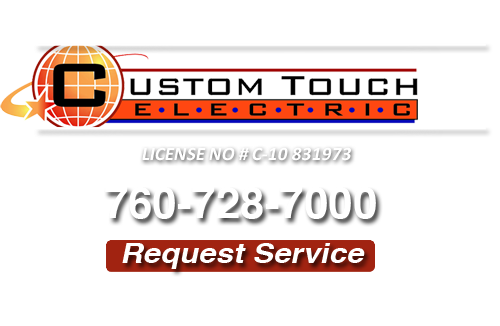 Custom Touch Electric has made its reputation on providing fair, reasonably priced, and expedient service to their customers. As an electrical contractor and owner of Custom Touch Electric, Jason Ewig truly understands exactly what type of lighting system your home needs for optimal lighting. He makes sure residents from his community will save money on their energy bills as well as know they can turn to him when they are looking for an electrical solution for their homes. Jason provides clients with the latest information and services on high energy efficiency light fixtures, LED lighting and other techniques. As a matter of fact, clients following his advice can save up to 35 percent on their electrical bills. Offering energy-efficient electrical options to clients is a large aspect of what Custom Touch Electric can provide, but that is only one element of his abilities. Jason understands how much lighting affects the atmosphere of a home and can enhance and highlight the best features of the home. As a former member of a rock band, Jason used to set up and design stage lighting for his shows. Now, he takes that artistic eye to clients’ homes and businesses to create the perfect ambiance. Jason is an electrical contractor that every home is unique, so he creates lighting systems that are tailored to accent the best features of a home. 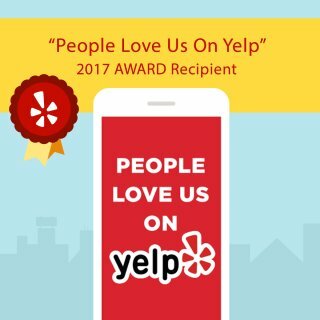 As a Fallbrook resident, Jason incorporates small town values and ethics into his business by going the extra step to provide the most thorough service possible. Unlike other electrical contractors, Jason will sit down with clients to find out about their lifestyles and will discuss each room to provide the best ambiance for the activities held in the room as well as find out where furniture is normally placed in order to provide comfortable lighting. No job is too big or too small for Fallbrook’s Custom Touch Electric, and Jason will work to help clients select the right lighting design that will work for their lifestyle and energy-saving concerns. Rewiring a home or installing electrical wires in a new room addition in Fallbrook requires specialized skill and knowledge to ensure the job is done right. At Custom Touch Electric we are the Fallbrook electrician you can rely on to take care of all your electrical wiring needs with precision and ease. Our electrical contractors are highly trained and qualified to perform electrical wiring installations and repairs as well as whole home re-wiring services. Make sure your electrical work is done right by choosing the Fallbrook electrical wiring contractor you can rely on: Custom Touch Electric. We use only the best materials and quality workmanship when taking care of the electrical needs of our customers, and we make sure that our team of electricians are continuously educated in order to stay current with today’s electrical code standards and technology advances. We offer all this at a fair and highly competitive price. This is just part of our dedication and commitment to excellent service, something we’ve been known for since 1980. If you are looking for more information about our Fallbrook Electricians then please call 760-728-7000 or complete our online request form.